Click here to see the Chinese version of DRIME HK page on the HKCCC website. After several mission trips to this great city, DRIME decided we needed a permanent team there to bring the message of Jesus to the streets. 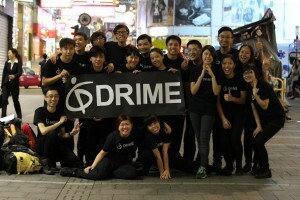 DRIME Hong Kong was launched in 2014 by Evelyn Yeung and Dickens Cheung, which made DRIME Hong Kong our ninth DRIME base. 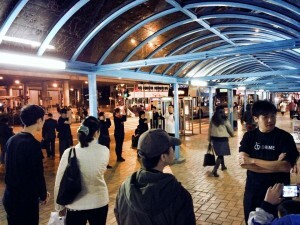 DRIME Hong Kong is ministry under Hong Kong Campus Crusade for Christ (HKCCC). DRIME Hong Kong is committed to bringing the “man in white” to busy street corners regularly on Friday evenings to make Jesus inescapable in this city of 7.6 million people. 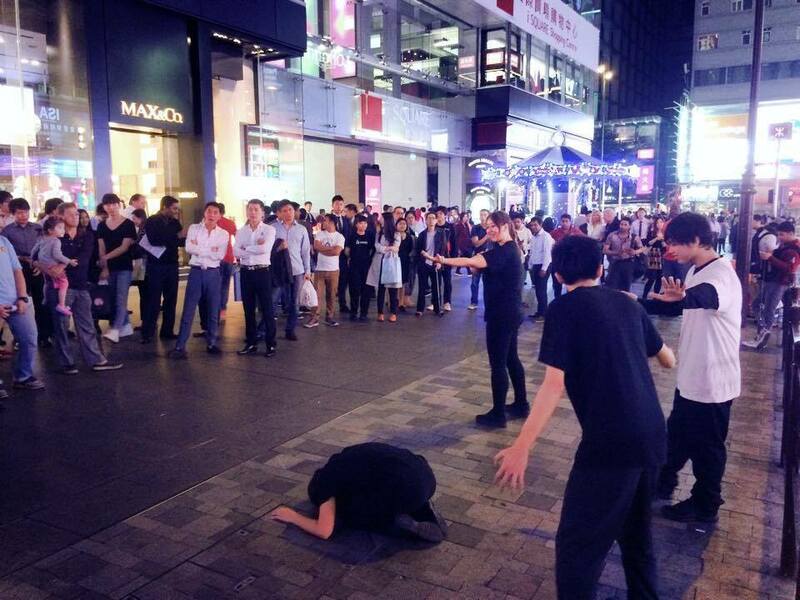 DRIME Hong Kong also undergoes practice on alternate Sundays for drama training, evangelism equipping, and team time. The team also occasionally gives performance at special events, as well as trains other brothers and sisters in Christ with DRIME dramas so to empower them with a tool for creative evangelism. If you want more information about the ministry, you can use the form below to contact the leaders.